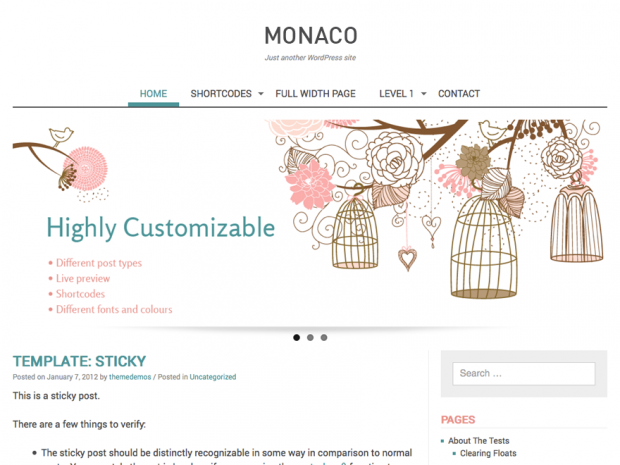 Monaco is a WordPress theme created for those of you who want simple and clean theme with a lot of functionality, shortcodes and fully responsive. Your feedback, rating and comments will be highly appreciated! It’s based on _s theme.